Down the years one of the pioneers of Christian rock music, Petra, had several different lead singers. But rather than Bob Hartman, Rob Frazier or even the much loved Greg X Volz probably the most highly regarded was John Schlitt who from 1986 to the band's retirement in 2005 was recognisable to tens of thousands of fans as THE voice of Petra. Schlitt's rasping, high register voice was heard on a stream of best selling albums, 'Back To The Street' (1986), 'This Means War' (1987), 'On Fire!' (1988), 'Petra Praise: The Rock Cries Out' (1989), 'Beyond Belief' (1990), 'Unseen Power' (1991), 'Wake-Up Call' (1993) and 'No Doubt' (1995). By the time 'God Fixation' was released in 1998 Petra were haemorrhaging band members and though new versions of the group kept releasing albums a lot of the crunching, gritty magic of old was no longer evident. When the band were unexpectedly awarded a Grammy for their weak, acoustic-orientated 'Double Take' in 2006 the award was generally perceived as being for past glories. 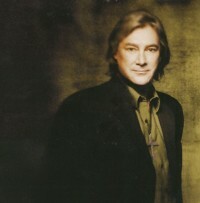 Alongside his slew of Petra albums and the band's relentless touring schedule, John Schlitt also found time to record two solo albums for Word. For the projects a powerful session band was assembled including Dann Huff (guitar) and David Huff (drums) of the band Giant and Mark Heimermann, well known for his work with dc Talk. It was generally felt that 1995's 'Shake' sounded too much like Petra though with less anthemic choruses. 1996's 'Unfit For Swine' went in a more experimental direction with John even singing in a lower register on a couple of tracks. True Tunes described it as "imagine Steve Val jamming with members of the Chili Peppers and old-school Van Halen." 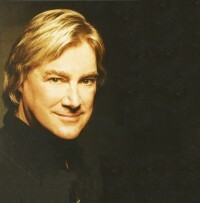 Following Petra's retirement in May 2005 John Schlitt and Petra's longtime linchpin Bob Hartman joined forces as a duet and released a CD, 'Vertical Expressions', under the billing II Guys From Petra. John told journalist Tracy Darlington about how he came to record with Bob Hartman. "We really didn't decide to - it just sort of happened! We were invited to lead worship at a youth conference in Canada, so we had to arrange songs and music that the participants could sing along with. As we practised these songs, Bob thought that it wouldn't be much harder to put together an album since we already had the arrangements. So we did! What Bob and I are doing now has an acoustic flare with the emphasis on praise and worship, along with the older stuff of Petra. It's a totally different ball game. We called ourselves II Guys From Petra because we knew that no matter what we did people were going to say 'Oh, that's those two guys from Petra.' So we basically just call ourselves that! 'Vertical Expressions' is a collection of praise and worship songs that we believe are very popular all over the world." Now John's solo album 'The Grafting' puts the singer back into the Christian retail CD racks. John told broadcaster Mike Rimmer, "I think it's probably one of the most relevant CDs I've done in a long time. It's where I'm at right now as far as material and the feel of the album. My son-in-law (Dan Needham) produced it for me." Carrie Schlitt is in the girl group Everlife and Dan Needham also produced the first album for the teen-pop trio. John is thrilled with what Needham brought to 'The Grafting'. "Dan got that feel that I was looking for. I told him that he was going to produce my next album and he thought I was kidding. And then I finally came up with the money and said, 'Here buddy, let's do it.' I passed over the production entirely to him. I'm serious. If it was all left up to me it would soon like Petra all over again. I didn't want that, that's an old style now and I really wanted it to have a current feel. But I did choose the subject matter. I gave them all 10 subjects that I wanted to sing about and he actually did a lot of the writing for me as at the time I was just trying to earn a living out touring and making furniture and a bunch of other stuff where I just wasn't in writing mode. But I knew what I wanted to say and praise God he was able to say it exactly how I wanted to say it." John told Tracy Darlington, "Musically and lyrically 'The Grafting' has gone in a whole new direction. The album speaks on more adult-themed topics, such as adoption, divorce, taking care of third world children, among other important issues. I'm at a different place in my life than I was when 'Shake' and '. . .Swine.' came out - that was more than 10 years ago. Naturally a person's interest changes over the course of 10 years. Musically, it's a definite departure from '. . .Swine'! It's more in the edgy soft-rock vein, though there are elements and moments of rock included, as well as songs that have an adult contemporary feel. There's also a sort of jazzy dance-type song that is pretty cool. You'll definitely know the album is ME, but it's just different enough that people who may not be familiar with Petra or my music will find it very new and refreshing." Possibly the most powerful song on 'The Grafting' is the title track. Said John, "It's a very personal song to me, because I have two grandsons that are adopted by my eldest child and her husband. And on a much greater scale, WE are adopted children of God ONLY because he loved us so much that he grafted us into his family because of our faith in his son Jesus. In both scenarios my grandchildren and myself (and all believers) were made part of a family because of the actions of someone else - it was nothing we did to accomplish this." One of the intriguing things about 'The Grafting' is its strong emphasis on the social aspect of the Gospel. The veteran said, "I truly feel that the body of Christ has been a little too lazy. I think we hide behind our doors and we don't want to rock any boats. And now they are rocking ours. I really feel that it's important to stand strong for what we believe and I believe that in doing good works are a part of it. Just claiming something sometimes when you get a chance isn't enough. Like the Lord says, 'If you have two cloaks give one away.' If you hoard them both just because they are yours that is not being Christ-like." As a rock musician grandfather John is a little bemused by Nashville CCM's current obsession with teenage artists. "It seems that the artists get younger and younger, because that's what the world is doing. It's like we are expecting our kids to teach us. And what have they learnt? Now as far as someone in my position with 20 years of amazing experience that God has allowed me to have, surely there should be a place for me on the music scene. I do have some things I want to talk about and sing about too. Praise God this CD allowed me to do so. They are already talking about recording another one. I'm not finished yet." John Schlitt was in our city, but for some reason I missed his Petra concert. I actually spent a lot of time listening to his voice on the many Petra songs that became my favourites when I was barely a teenager. I'm 29 today, but I sill regard him as one of the most real Christian artists ever and the lyrics of Petra songs (delivered with piercing conviction by John Schlitt) always seem to flash across my mind at very important moments in my life. I can't seem to remember a time ever when Petra music or lyrics influenced me in a negative or ungodly manner. Today I'm still actively serving God through the youth group, not because of Petra or John Schlitt, but because of Jesus, but during those years when i was just starting to turn away from the ungodly music and ungodly staff that I had started to experiment with, Petra was a great encouragement for me to try to show the "marks of the cross" in my life. "Willing to suffer the loss for the marks of the cross" There was a time when I even dared to suffer the loss of Petra for the sake of the cross. I pray that God will continue to bless John Schlitt and his family and open more doors of ministry for him and that his life will continue to be an incredible testimony that breaks every generational barrier today.